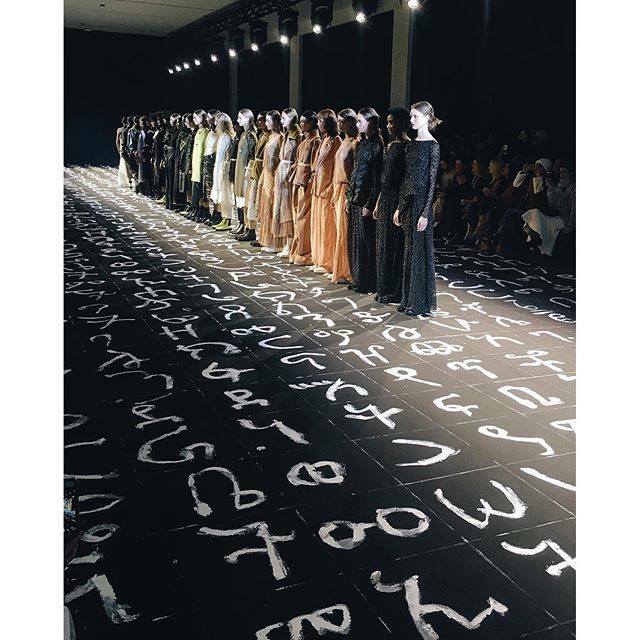 Fashion brand ‪#‎EDUN‬ ‪#‎EDUNFW16‬ made a runway out of feedels for the New York Fashion Week 2016 ‪#‎NYFW‬. The Ethiopian letters look great! For more check Edun’s website. Only 2 days left to see the exhibition “Adbar”, paintings by Ethiopian artist Robel Temesgen in his first solo exhibition in UK. 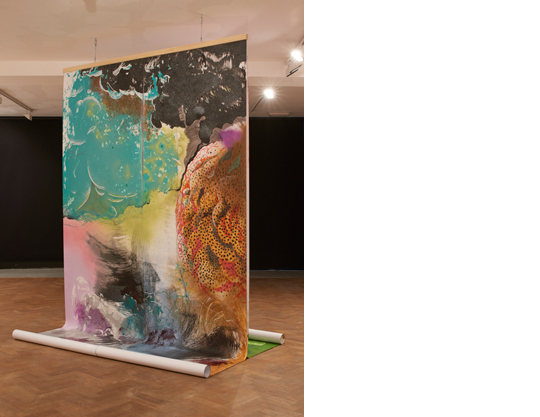 It comprises a series of new paintings and works on paper inspired by the longstanding Ethiopian belief of adbar and its associated rituals. Art is a great way for students of Amharic to learn more about the culture and messages of the language. places of worship and meeting points around which to discuss community matters. Temesgen grew up in Dessie, north-east Ethiopia, where adbar was commonly practised. The series includes over 20 works depicting shimmering imaginary landscapes in Temesgen’s characteristic symbolic, lyrical style. The works vary greatly in scale, with the largest paintings measuring over 5 metres in length. Suspended from the ceiling and presented as floating rolls of paper partially covering the floor, their appearance recalls Chinese scroll paintings or Ethiopian healing scrolls. Robel Temesgen was born in 1987 in Ethiopia, received an MFA from Tromsø Academy of Contemporary Art, University of Tromsø, Norway in 2015, and a BFA with high distinction in Fine Art (Painting) from Addis Ababa University in 2010. He currently lives and works in Addis Ababa. The exhibition is at the Tiwani Contemporary Gallery (16 Little Portland Street, London, W1W 8BP) and is open Tuesday – Friday 11:00am-6:00pm, Saturday 12:00am-5:00pm. Admission Free. Shared from the Alertlist of The Anglo-Ethiopian Society, a great resource for people wishing to learn Amharic in London or follow Ethiopian events. Ethiopian flower paintings are to be part of the Royal Horticultural Society botanical art exhibition in London on 26-27 February. 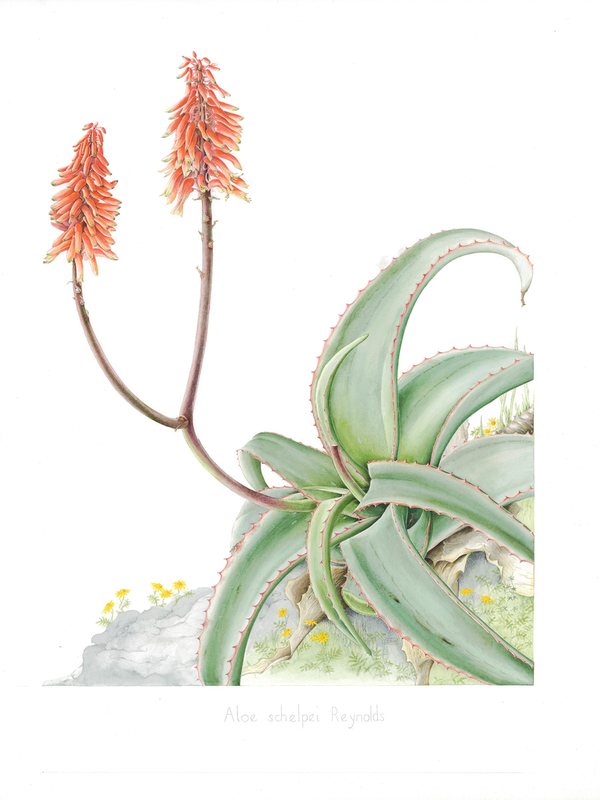 Artist Sarah Howard is exhibiting a set of drawings of Aloes from Ethiopia, endemic to the Horn of Africa, as part of this international-standard exhibition. Sarah says: “I’ve long wanted to show what’s lovely from that part of the world, in the hope these pictures might inspire others to take an interest in Ethiopian flora – if not to paint them.” She encourages all Ethiopians and friends of Ethiopia to have a look. She has also taught botanical illustration classes. “I spent two periods of a month each in the field driving huge distances, climbing mountains; enjoying the company of local farmers, priests and hotel staff where I set up makeshift studios. Almost everyone volunteered the information that these plants were used in some way for medicine, including in cancer and HIV/AIDS treatments. 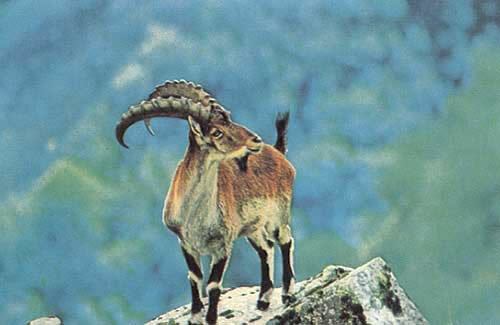 But few had any idea of the different species that could be found, and this also applied to expatriates. If you want to learn more about Sarah and her art, contact sarahhowardpainting [at] icloud [dot] com. If yo have any events that you think students of Amharic in London and other supporters of our Amharic evening classes would be interested in, please let us know. We are offering the last spaces for two sets of classes, launching next Monday evening 18 January 2016 and running for 10 weeks. We will be running both Beginners’ and Intermediate Level II classes in different rooms in the same beautiful venue near Kings Cross. The classes are from 6:30pm-8:30pm every Monday. The beginners’ class will teach basic greetings and sentence structure as well as reading and writing, so that you can hold basic conversations, order food in a restaurant, etc. Intermediate Level II is for people who can speak and can already read and write, and particularly aimed at people who finished our Intermediate Level I course although other Amharic speakers who want to learn more about the language are also joining the class. To enrol or find out more, write to us at info@learnamharic.co.uk or use our contact form here. We are delighted to announce we are going ahead with our 2016 Learn Amharic in London classes, starting from 18 January 2016, after Ethiopian Christmas. We offer both beginners’ and intermediate classes – this time we will offer Intermediate Level II classes. The lessons are held in central London and last for 2 hours each. Both beginners and intermediate Amharic language classes will be ten-lesson courses, held at our venue in central London. They are taught by our experienced tutors. Classes will be from 6:30-8:30pm and will be held every Monday evening, both beginners and intermediate. The beginners’ classes give students of Amharic basic skills in greeting, asking directions, everyday phrases and other conversation. You will also learn reading and writing and grammar skills such as language structure. The Intermediate Level II classes give students sufficient Amharic vocabulary and grammar to hold a conversation and to read and write phrases, sentences and paragraphs. By the end of the course you can expect to have conversational exchanges on familiar subjects, order food in a restaurant, buy items in a shop and discuss prices, talk about time and seasons, read signs, menus, posters and leaflets and write emails. You should be able to read and write feedels (Amharic script) before starting this course. All lessons are tailor-made by our tutors according to progress. Use the “Contact us” form or email us if you are interested to find out more about the course, or call 07954-403704. We also offer 1-to-1 lessons tailored to the students’ levels and organized at their convenience. Wishing all students of Amharic and all others the best for two sets of Christmas celebrations, Ethiopian Christmas or genna on 7 January as well as farenji New Year 2016. Film Africa is showcasing the new generation of Ethiopian cinema with “New Narratives: Ethiopia in Transition” strand. They are screening 3 recent releases that highlight the fresh and poetic work of directors from the region. Students of Amharic in London can learn a lot by listening to the Amharic language. The screenings for Lamb (see blog post below) and Red Leaves will be followed by Q&As with the directors, Yared Zeleke and Bazi Gete, and you can enjoy a hearty serving of Ethiopian food while watching Price of Love! Tickets are available now. Screenings can sell out, so we recommend you book early! A young Addis Ababa taxi driver gets caught up in the dark side of love after he helps a young girl escape her violent ex-pimp in this off-beat romance. Enjoy this film with a hearty serving of Ethiopian food! Buy now. Lamb movie is showing in Hackney Picturehouse next Tuesday 3 Nov at 9pm (21:00 or 3 o’clock habesha time) and at Brixton Ritzy cinema next Sat 7 Nov at 2pm (14:00/ eight o’clock habesha). 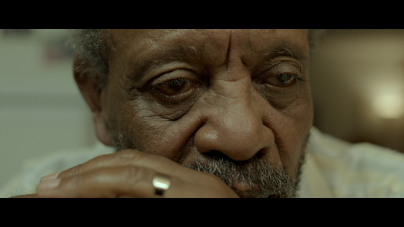 Its the first Ethiopian movie selected for Cannes film festival. Directed by Yared Zeleke Ethiopia/France/Germany/Norway. 2015. 94 mins. Colour. Amharic with English subtitles – great chance for students of Amharic in London to use their ears and hear more Amharic in an easy setting! 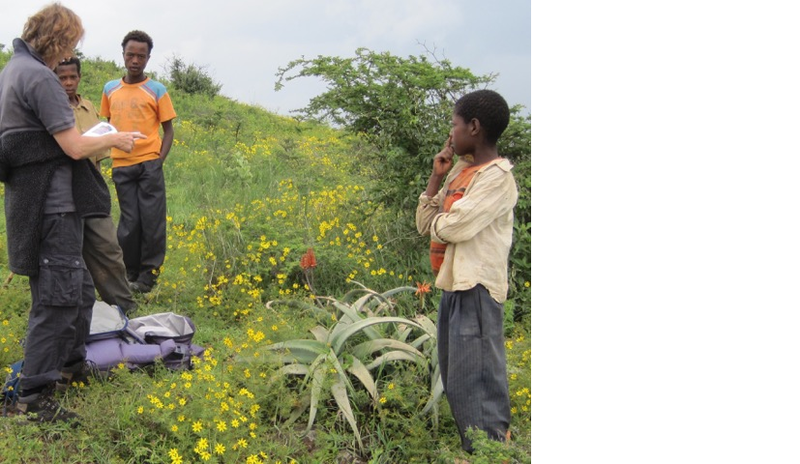 Ephraim is a young Ethiopian boy, the son of a farmer. His father leaves him and his sheep, from which he is inseparable, to be looked after by distant relatives, far from his drought-ridden homeland. Ephraim isn’t very good at farming, but he has a hidden talent: he is an excellent cook. One day, his uncle tells him that they have to sacrifice his sheep for the next religious feast. Ephraim is ready to do anything to save his only friend and return home with him by his side. 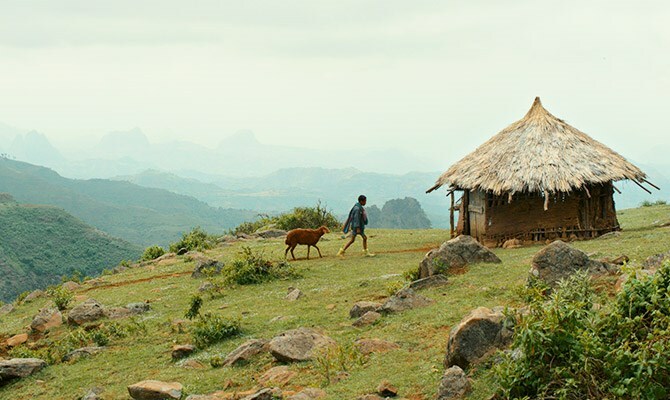 Handsomely shot in Ethiopia’s beautiful, mountainous countryside, this multi-layered first feature from Yared Zeleke adds depth to its characters and places depictions of everyday Ethiopian life centre stage. Any of our Learn Amharic students and friends going? Let’s meet up, comment on our facebook page or send us an email. Great Ethio-Jazz musician Mulatu Astatke is performing next week Thursday 5 Nov in London in an “Intimate Ethiopian evening”. For your tickets, look here. The music that became known as Ethio-jazz is a compelling fusion of traditional styles with funk, jazz and soul. Its creator, Mulatu Astatke has a musical history rivalled by few. He has contributed music to the film work of Jim Jarmush, been sampled by the biggest names in hip-hop and played to audiences of thousands at festivals around Europe. See more info at mulatu-steps-ahead.com. Check this link for some of his music, video of Ato Mulatu and a free MP3. Please share with your friends, great sounds for people who learn Amharic in London! 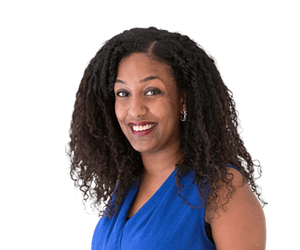 American-born writer Hannah Giorgis wrote in her July column in the Guardian about the beauty of Amharic language, as students of Amharic language can find out for themselves. 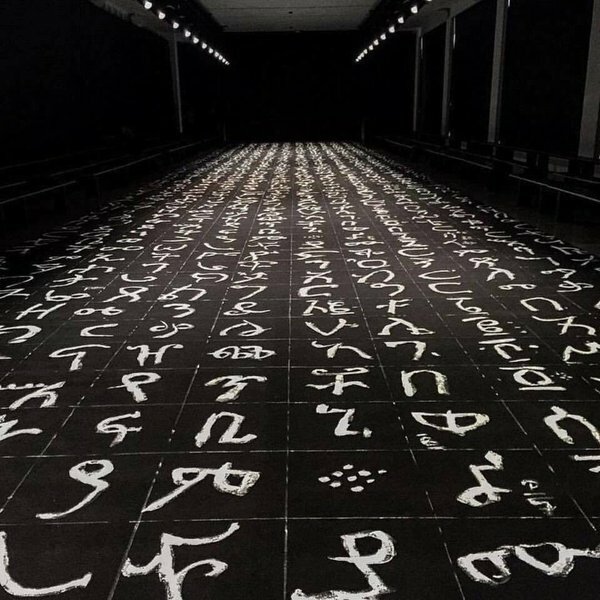 What is your experience of Amharic language? 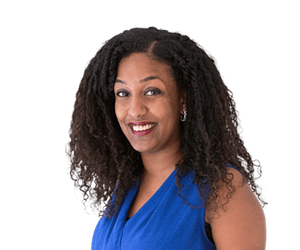 Have you listened to the fast and ready wit of the azmari singers, or the country and eastern longing of tizita music and its lost memories, have you laughed at the Amharic stand-up comedians or wept with the heroine of an Amharic movie? Amharic is one of Africa’s liveliest languages today, and we encourage our students of Amharic in London to learn as much as possible. 2 Nov (Mon) Book Launch “The Last King of Kings of Africa: The Triumph and Tragedy of Haile Selassie I”. Prince Asfa-Wossen Asserate in conversation with Anthony Mockler, at SOAS, Russell Square from 19:00-21:00 (7-9pm). 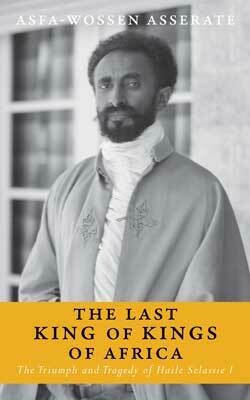 Haus Publishing have organised the book launch to coincide with the 85th anniversary of Haile Selassie’s coronation. Emperor Haile Selassie was a descendent of King Solomon and a forerunner of African unity and independence. He fought with the Allies against the fascist Axis powers during the Second World War and was the messiah of the Jamaican Rastafarians. He was a reformer and an autocrat, who was assassinated in a communist coup. He was an equally formidable and iridescent figure, who is brilliantly portrayed by his great-nephew. Asfa-Wossen Asserate was born in 1948 in Addis Ababa as a member of the Imperial House of Ethiopia. He read history and law at Cambridge University and at the University of Tübingen, and received his PhD at the University of Frankfurt. He now lives in Frankfurt where he works as a consultant on African and Middle-Eastern Affairs, and as a political analyst. He is a bestselling author in Germany and has been awarded the Adelbert von Chamisso Prize and the Jacob Grimm Prize, two of the country’s most prestigious literary prizes. This event is supported by the Royal African Society, the Anglo-Ethiopian Society and the Global Heritage Fund UK. The event is free, but places are limited and must be reserved via Eventbrite, go to the link here. The event includes a standing reception and book signing. Copies of the book will be on sale. 17 Nov (Tues) Book Club – The Danakil Diary – Journeys Through Abyssinia, 1930-34, by Wilfred Thesiger. At the National Theatre. This was the earliest and most influential expeditions of one of the great explorers of the 20th century. Thesiger regarded his 2 journeys into the Danakil country in 1930-34 at the age of 24 years as the most dangerous he undertook. 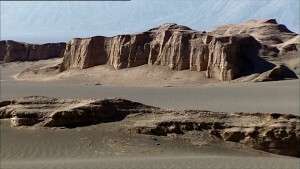 It was a remarkable achievement, he travelled in country that had wiped out 2 Italian expeditions and an Egyptian army before him, discovered what happened to the Awash River (one of the area’s last geographical mysteries to be solved) and managed to survive amongst the Danakil, to whom a man’s status depended on the number of men he had killed and castrated. People learning Amharic may enjoy Thesiger’s descriptive genius including the beautiful, savage landscapes and their wildlife as well as youthful evidence of his fierce motivation and uncompromising will. The book club gathers in the Long Bar on the ground floor, but if you to attend, or want further information, please email the Book Club. 25 Nov (Wed) Lecture – Witnessing the birth of an ocean: Rifting in the Afar Depression, Ethiopia, Eritrea and Djibouti by James Hammond at The Warburg Institute, Woburn Square. The East-Africa rift is the world’s premium natural laboratory for studying how continents break apart. Here, over the last 30 million years, a new tectonic boundary has been formed giving rise to the volcanoes and earthquakes that make up one of the world’s most dramatic landscapes. The Afar Depression is the northernmost extent of the East Africa Rift, where it meets two other rifts that form the Red Sea and Gulf of Aden. This so called triple junction is where the final stages of continental breakup are occurring. In September 2005 some earthquakes culminated in a small volcanic eruption, which masked much bigger changes deeper in the Earth’s crust. 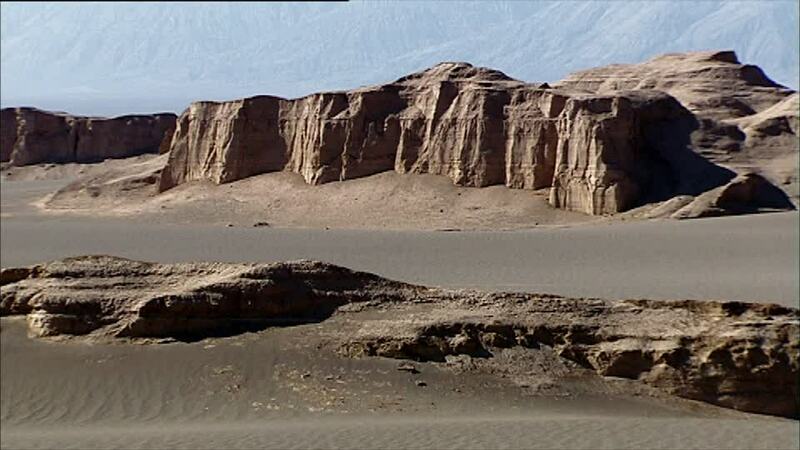 A 60 km long sheet or wall of magma (a “dike”), had been injected into the Earth from depth in just 2 weeks, causing the ground to deform including 8 metres of sideways movement. It was the first time in the era of satellite and modern day geophysics. In response a UK/US/Ethiopian/Eritrean team led an 8-year study to monitor and understand the driving forces behind this region. In this talk Dr. Hammond will provide an insight in what it is like to work in one of the world’s most inhospitable deserts, a tale of camels, volcanic eruptions and science diplomacy and he will present some of the key results from their work. Hammond is a Research Fellow at the Department of Earth Science and Engineering, Imperial College, London. Capacity is limited, so please reserve your place soon at Eventbrite to avoid disappointment. The AES also organizes supper clubs and other social events.